How Do I Put A Countdown On My Facebook Group? You could have the opportunity to promote a particular occasion on your Facebook page by adding a countdown clock application, or app, to your account. 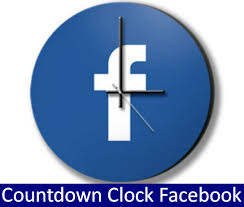 The application displays an image of a clock on your Facebook Wall, and it counts down to a preset date, such as a graduation, birthday, wedding or sporting event. Log in to your Facebook account and type "countdown clock" (without the quotation marks) in the search field on the page. Click on the "See more results for countdown clock" link that appears on the drop-down menu, and then click on the "Apps" link on the left-hand side to bring up all the applications that perform this task. Browse through and review the countdown clock apps, like Graduation Countdown Clock or CBC Countdown Clock, to find the one that you want to use. Click on the "View App" button on the right to open this page. Click on the "Info," "Wall" and "Reviews" links on the left-hand side to find out more information about the clock. When you're ready, click on the "Add to My Page" link in the bottom-left corner to begin the process of installation . Follow the instructions to add the countdown feature to your account and access the application page that lets you configure your clock. Use the available options to pick a design and put in a date you want to track. Click on the "Publish" or "Post" link to proceed. Click on the "Profile" link in the menu bar to see the countdown clock feature posted to your Wall. The countdown clock applications vary slightly, depending on the one you choose to use.